Ante todo agradecer su descripción general de nuestra instalación. Con certeza tendremos en cuenta su criterio para continuar mejorando nuestros servicios. Esperamos tenerle de vuelta pronto para que encuentre revertidos los señalamientos que nos hace. Le deseamos éxitos en su vida profesional y personal. First of all thank your general description of our installation. With certainty we will take into account your criteria to continue improving our services. We hope to have you back soon so that you can find the remarks that you make to us. We wish you success in your professional and personal life. We are very sorry for your nonconformity in our Hotel. You regard us highly as kind, polite staff with the only aim of offering security and safety to all our clients, assuring them the best treatment and pleasant stay. Hearing about your negative comment was a big disappointment to us. This was the reason why we proceeded to follow an investigation. There is a systematic and effective plan of plague fumigation in our facility, carried into effect 4 times a week. This is being done under a strict implementation always checked and controlled by the management staff, Due to all elements previously explained, we consider almost impossible to find any kind of plague in the hotel. On the other hand, this is the first and unique complain made by guests. We are not in agreement with the fact of renting rooms per hour. We made big efforts to be able to provide accommodation to the greatest number of clients which were in facilities with no guarantee or those where capacities were limited. Therefore, the number of guests accepted was large. It was not possible to rent rooms were occupied with guests deviated from 4 Hotels. If you had any information or detail which might back up your comment we would be able to clarify it and take severe actions towards the member of the hotel staff who had not complied with the established measures. We are not sure you know that backpackers are human beings like you? They have, perhaps, less monetary resources than you but have huge wishes to visit and learn about our country. The good people who were open to receive you in face of this event are truly sorry for your misunderstanding. We appreciate your stay and would like you to recall that if you have any piece of really right information, please let us know to revert the deficiencies stated with the objective of offering a better service and surpass our clients’ expectations. I was evacuated to this "hotel" due to Hurricane Irma. 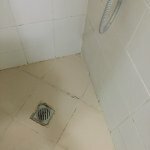 I cannot believe that any reputable travel company would use what can only be described as "The Hotel From Hell," yet The Holiday Place did. Staff could not speak English and guest registration was a fiasco. The buildings were closely related to being concentration camps and the rooms were virtual cells. The first room I was assigned was rejected as it had no lock on the door. The second had a lock but hadn't seem a cleaner in an age. Every surface was filthy with ground in dirt. Worst of all was the bathroom, as the attached photos will show. The underneath of the toilet seat had ground in human waste from over many weeks or months. The power and water outage can be forgiven due to the hurricane. The rest cannot. Many evacuated guests refused to use the rooms and slept in the dining room. As the evening wore on, it was clear that the hotel doubled as a brothel, with prostitutes openly plying their trade and the hotel renting out rooms by the hour. A couple of staff members tried very hard to be helpful and that was appreciated. The Trip Advisor system won't accept a zero start rating so I have had to give 1* to have my review accepted. That is significantly over generous. This is a zero star establishment and should be avoided at all costs. We are really sorry for the negative experience faced by you during the stay in our hotel. It is not our intention to justify the fact stated by you regarding the deficient process at the check-in desk. There should be considered that the hotel received guests coming from 4 different facilities due to the meteorological event Irma Hurricane and we had to offer assistance to them Rooms which were supposed to be occupied by other clients had to be taken to complete the capacity needed. We are referring to the first two rooms before your stay in room 1203. 1. The receptionist at the check – in did not speak English fluently. This fact made a negative influence in this process. 2. The lack of cleaning and deficient state of the toilet seat, which had no soil dirt or solid wastes as you said, but evidently damaged we shall explain that the room service employee who was responsible for the task was asked to leave the hotel as soon as knew what happened. 3. We may add that this room has cold and hot water, air conditioning system, cable TV, telephone service and other standard requirements. As part of the exceptional situation faced by the hotel staff due to the meteorological event, our personnel worked with no payment in return and without interruptions, from September 9 to 16. So, it is false and malicious the opinion related to what was happening at the hotel. We would like to clarify what happened; therefore we invite you to offer the evidence or elements needed. We have always made our best to protect guest lives and we repeat our commitment to revert the deficiencies and problems pointed out. We kindly ask you to provide feedback to reach higher service levels which allow us offer the tourist who visits an unforgettable experience in our facility. The Cuban government took us to the Hotel Tulipan to wait out Hurricane Irma from Sept. 9 to September 12. They were doing their best to keep us safe. This is not a hotel for tourists. To be fair to them, we had no electricity or water for much of our visit. Staff tried to provide meals as best they could. 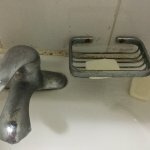 We found the hotel to be dirty, with broken toilet seats, cockroaches, mould, doors that they could not keep shut in a big wind. I would not recommend this hotel as a place to choose to stay. However, we are thankful, it kept us safe and dry for the Hurricane experience. Room tip: I would suggest that travellers avoid this hotel. We are very grateful for your comment and gratitude towards our staff. Our major aim was, first to make clients feel protected and safe considering the seriousness, of a meteorological phenomenon like this one ,secondly the full satisfaction of clients either during a short or long stay, regarding our services. Concerning the water and electricity issues, we would like to remind you of the fact that you arrived the hotel due to the meteorological phenomenon previously mentioned. This hurricane provoked strong winds which brought about power failures and the water supply as well. Water supply or bottled drinkable water were no problems, though. The supply of well prepared foods did not constitute a problem, either. 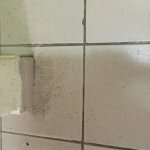 Regarding the cockroaches issue, it is our duty to explain that there is a very effective systematic cleaning plan. It is carried out 4 times a week, checked by the management personnel and developed by the Ministry of public Health to, mainly, avoid infections and illnesses of either, clients or working staff. The lack of cleaning and state of the toilet seat evidently damaged has also an answer. The room service employee in charge of having the service ready was laid off through the interruption of the work agreement because of the failure to comply with her functions. We would like to thank you for the positive comment made by you related to our treatment. Stayed here in December with a group for a school trip. Reading previous reviews helped better prepare me for what to expect, and they were pretty accurate. It's definitely the worst hotel I've ever stayed at, but I general aim for nothing less than a Holiday Inn. Our room had stained blankets and the shower flooded. When we had to use the blankets and towels to mop up the flood, we called for more towels. The phone sounded like you were speaking over tin cans with strings, and it took an hour for a maid to come up. She didn't have towels, refused to give me more towels without giving her old ones. She took the old ones, including one that was still clean. It took her 20 minutes to come back and she didn't even knock, just walked in, when she came back with them. One was dirty. I pointed it out and she just shrugged and said tomorrow. We addressed this with our tour guide who spoke to the hotel. When we got back the following evening the shower was fixed and we had new, clean blankets on the bed. Others in our group had no hot water, worms coming up the drain to the shower, cots that weren't even real beds. The doors to the bathroom didn't shut, some lights didn't have shades on them. I recommend bringing shower shoes, sheets, and towels if you stay here. Also there is not be a hair dryer. WiFi only worked in the lobby, and the wifi cards they sold were shotty. Don't count on more than 15 minutes at a time. The breakfast was also strange and terrible (especially compared to all the other food in Cuba which was delicious). We were the only group of tourists staying at the hotel. Very hard to get around to other attractions in Havana. It's not within walking distance of anything and since it's not a tourist hotel, getting taxis is troublesome. If you're looking for a comfortable vacation-type hotel, this isn't it. We went in havana for our honeymmon but this is the worst hotel i ve ever been.. it was far far away from everything. The room was not clean at all. The bthroom was dirty and the pillows inacceptables. The breakfast eas disgusting. We had to search and find another hotel. This is the worst hotel i ve been in my hole life!